Cary Grant, the quintessential movie star, onscreen sophisticate, idol of millions, impossibly wealthy, the fantasy of countless women (and more than a few men), was in fact largely unhappy, possessive, insecure, unsophisticated, emotionally distant, and used LSD hundreds of times in psychological therapy. If this man, who only became more distinguished looking, respected, and beloved with age couldn’t find happiness, then who on earth could? I guess being a filthy rich, beloved, talented chick magnet isn’t everything, is it? The 2004 documentary, Cary Grant: A Class Apart originally aired on Turner Classic Movies, which was when I first saw it. The documentary is now included as a bonus feature on the 2-disc edition of Bringing up Baby. When I first saw A Class Apart, I was left with an empty feeling. I was more familiar with Grant’s movies than I was about his personal life, so I was only vaguely aware of Grant’s alleged affair with Randolph Scott, and I learned of his LSD use from a 1988 rock song by a long-forgotten group called “The Godfathers.” Former wife Betsy Blair came off as an angry and bitter shrew (though I don’t blame her) and the whole experience was somewhat traumatizing. It was one of those times that I’d wished I hadn’t bothered to look deeper into a favorite artist’s life. I found it disturbing that a man who seemingly had everything wasn’t the happiest camper. I guess the old adage, “No matter where you go, there you are” holds true, even among those who seem to “have it all.” There are some actors I adore for their ability, like Jack Nicholson, for instance. But the little I know about his personal life doesn’t interest me at all. Same goes for Fred Astaire; just play the Top Hat DVD again, thank you. Gene Kelly was a jerk? Who cares? Let’s watch him melt our hearts with Leslie Caron again. Huh? Elia Kazan was a weasely informer? Oh, well, at least he was a great director. His spineless, self-serving behavior won’t deter me from watching Gentleman’s Agreement for the umpteenth time. The moral? Don’t let yourself get too wrapped up in this stuff…it's supposed to be fun. 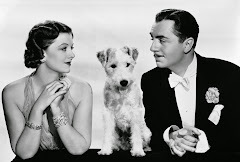 I'll have to look for that special edition of Bringing Up Baby. The movie alone is worth having in the collection, but I would also love to see that documentary. I wouldn't let what you read get you down. I'm convinced half the stuff you read on Grant is total BS or exaggeration. Whenever I start reading too much about the personal lives of public figures that I admire (or at least, whose work I enjoy) I'm inevitably disappointed. It... doesn't quite stop me from coming back for more, though. A lot of it can be quite interesting, just as long as you separate the person from the product. I think you've got the right idea. I know what you mean. I just finished a bio of him by Warren G Harris and I was traumatized. The book was a bit too focused on the negative aspect of his life, though I wanted to learn more of his screen life. Basically I agree with Carrie. Does LSD use automatically make you a bad or sad person? Example: If The Beatles hadn't used LSD to some extent, I'm sure we would have no Sgt Pepper...Or Revolver or... I think there's always some good in all that's bad. People are complex and sometimes contradictory in their lives. As you write, you can admire the art despite the fact that the artist personal life was not so admirable. One of my favorite musicians is John Lennon whose life was full of contradictions, peace/violence/family/adultery yet, for me, the message of his music transcends his personal life though they are distinctly tied together. I take from the artist what I want and leave the rest behind. Alfred Hitchcock had some strange idiosyncrasies but is there anything better than watching Real Window or Stranger on a Train? I believe that if artist like Lennon or Hitchcock did not have their pecularities there work would not be as interesting. First, let me say that the "Cary Grant Affair" happened four years ago, though I can still recall the strong reaction I had in having learned those things. I felt it was worth posting about. But, really, I'm fine! :) I tend to "judge the art, not the artist" but I guess it was just a shock that someone like Cary Grant would be such a bunched-up kind of guy. It is sad, though, how messed up most celebrities are. It seems like the more fame you have on screen, the more doomed your life is. I really liked this post, Dex. I know how it is to find out about your favorites, and to feel that strange empty feeling inside. Incidentally, I've also seen that documentary on Grant, but I wasn't shocked by it. 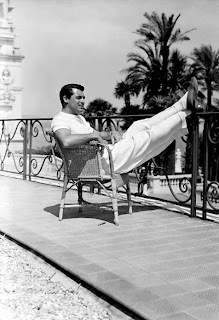 I actually had a hard time ever liking Cary Grant in the first place. So when I learned more about his personal life, it was kinda nice to know he wasn't actually some high-class snob like I had once thought. I'm a huge Cary Grant fan. I have been since I can remember. I hated it when I first started reading biographies about him. I was finding out all sorts of things I never imagined. Sometimes I feel better off not knowing much about the personal lives of my favorite stars. Of course, it helps me realize that they are just human beings, but it still can bring me down. Hello, I recently discovered your blog, which I really enjoy, and had to reply to this entry even though it's a little old now. I know exactly how you feel. Sometimes it's better not to know about people you admire -- it can be disillusioning! However, I have to say that Cary Grant was a very complicated man who had his dark side, but who was also beloved by many, many friends and colleagues. He could be insecure and moody, yes, but he could also be sensitive, sweet, generous and very funny. He was scarred by his traumatic childhood and was often hard to get close to, but he was in the end a devoted husband to his last wife and a doting father to his daughter. He was human, in other words, although it would be nice if he could've been as perfect as he seemed to be in his movies! I have seen the documentary you mentioned and actually enjoy it, although Betsy Drake's bitter contribution is tough to listen to. While I'm sure there's truth to what she says, she's also an ex-wife, so I take her words with a grain of salt. 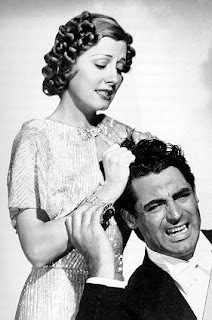 If you want a non-traumatizing look at CG, may I recommend the book "Evenings With Cary Grant" by Nancy Nelson? It's a biography, but it's told mostly in CG's own words and the words of his friends and had the blessing of Grant's wife and daughter upon publication. I've read it a couple of times and it's absolutely charming and fun -- you will love CG by the end of it, even with his flaws. After all, the complexities of his personality are what part of what made him so unfailingly interesting to watch onscreen. Grant came off slightly defensive and unsure- qualities I can attribute to anyone in that profession. You made a great point, don't get too wrapped up. As humans, we are too curios not to want to know all things about performers we love, it's just important to remember that despite their status, they're human too. As an American citizen, he didn't serve his country in World War Two. As a British citizen, he became an American citizen, avoiding serving his country in World War Two. His role in Destination Tokyo just rings false. Why would anyone expect celebrities to be happy 24/7? I never understood the public's desire or demand that celebrities should be some epitome of perfection and happiness all of the time, when non celebrities are incapable of achieving this state? Smart man!!! John Wayne had deliberately avoided military service during WWII. Are you going to condemn him as well? John Wayne was above the age for serving, had four children, and an ear injury left over from Football at USC. Can you argue that he should have slogged along in the infantry, like my father, and my uncle, as compared to inspiring our troops with all his war pictures? Haha, I always said it. At least I know how he treated Jean in "Only Angels Have Wings": very unfair. In the happy-end scene of "The Talk of the Town" he couldn't take Jean's clowning (although she was supposed to do so) and he complained. Jean just didn't mind this time. I take back the "haha" of my last comment. I see Cary was very unhappy and this is no moment for "haha". But I didn't mean it as it might seem ... it was just a silly, spontaneous reaction. Very silly, sorry Cary - sorry! I think the main thing is that someone like Frank Sinatra or Cary Grant are still people I admire. They were largely cordial and genuine to everyone they worked with, they dealt with life the best they could and they had a sense of dignity. I don't judge someone by drug use or an affair, those things don't matter to me. Your thoughts are very interesting and they're actually true. On the other side we are being influenced by all these media and we have to figure out whether we want to trust them or not. So it's not just, that the actor is the victim -- we are the victims of pretty harmful Hollywood cliches as well. After all, we are pondering our own lives and morals and that's natural. I haven't seen a movie for months, actually regretting it a bit -- but on the other hand I consider my own excitement about movies in 2010 overdo. Maybe I needed that experience at that time, but I don't anymore. Today the lives of actors and actresses aren't an issue to me. Anyhow, in my life texts have always been more important than images. kathrynnova: Thanks for your thoughtful reply. I agree with you completely. That post was written three and a half years ago. Since that time, my perspective has changed considerably. Okay, I just re-read my original post and it seems that I have retained the point of view that I should regard the art and not the artist. I believe I had implied as much when I wrote the post. When I say my perspective has changed, it had changed when the post was written; I had just dredged up my initial shock after having seen the Grant documentary. "...I've moved on to painters now..."
You're not onlooker of art, you're expressing yourself. That's my credo, love that! Personally I don't like to judge art, especially not music. I rather tell them how they could do better. I even admire animals trying out musical instruments. My bird played keyboard years ago and I listen to those recording with respect. I think that we judge people a bit harshly sometimes; we judge them according to our standards. It’s hard to walk in someone else’s shoes—they never fit. We have to remember that during those times in Hollywood, people had an image to uphold. The studios owned them and expected certain behaviors from them. Even the media, at that time, went through great pains to protect celebrities (they – the media - were probably well compensated by the studios to do so). I do not know if the allegations of Cary Grant’s relationship with Randolph Scott are true, but during that time, Mr. Grant did not have the luxury of publically engaging in a homosexual relationship. Maybe that contributed to his unhappiness. I've always felt that actors are a different breed of people. It takes a special kind of person to want to live their life in the public eye. And I suppose you could argue that it isn't want they want. But with great work comes public recognition and with that comes money and fame. If most of these actors were in it for the actual "craft", they would be stage actors and would be virtually anonymous to the rest of the world. Sorry, I went off on a tangent. I'm an absolute LOVER of Mr. Cary Grant. I love all of his movies and watch them whenever I can. He was a beautiful man.